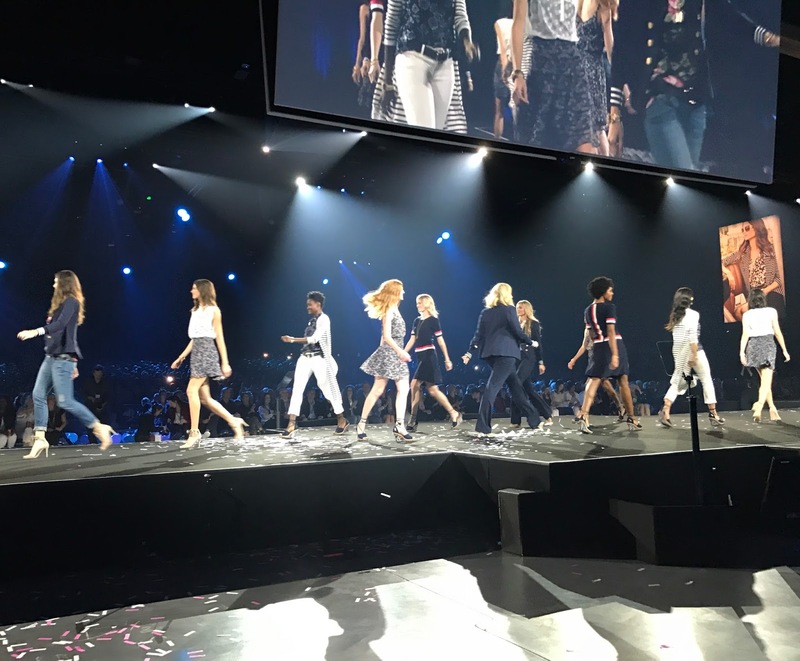 Exactly one week ago I was sitting in the cabi Scoop audience at the San Diego Convention Center in awe of the cabi stylists and the new cabi Spring 2017 collection (which you can see now online here)! This was my 4th cabi Scoop and it gets better every time! This time they had good reason to pull out all the stops as they celebrated their 15th year anniversary! Old footage of cabi's humble beginnings were shown on the big screens and it's incredible to see how far they have come and how much they have grown. We all got to toast to their successful 15 years with a lil can of champagne, accompanied with balloons! This was also my fourth time listening to cabi's President, Kimberly Inskeep's motivational speech, each one has had a distinct and important message. From this one, the message of women coming together to do amazing things stood out to me. And then it was on to the show! We saw the Spring 2017 collection come down the runway and as always, they had me dancing in my seat with tunes like Spice Girls remixed with Bruno Mars, just to name a few. Here's your chance to dance in your seat too (while seeing the full runway show) Click here! Aside from fun, cabi Scoop is also inspiring! To be in a convention center full of stylish women who have a drive to make their clients look and feel good wearing cabi is just astonishing! If you've been reading my blog you know I'm an avid cabi wearer (lol) but with good reason! 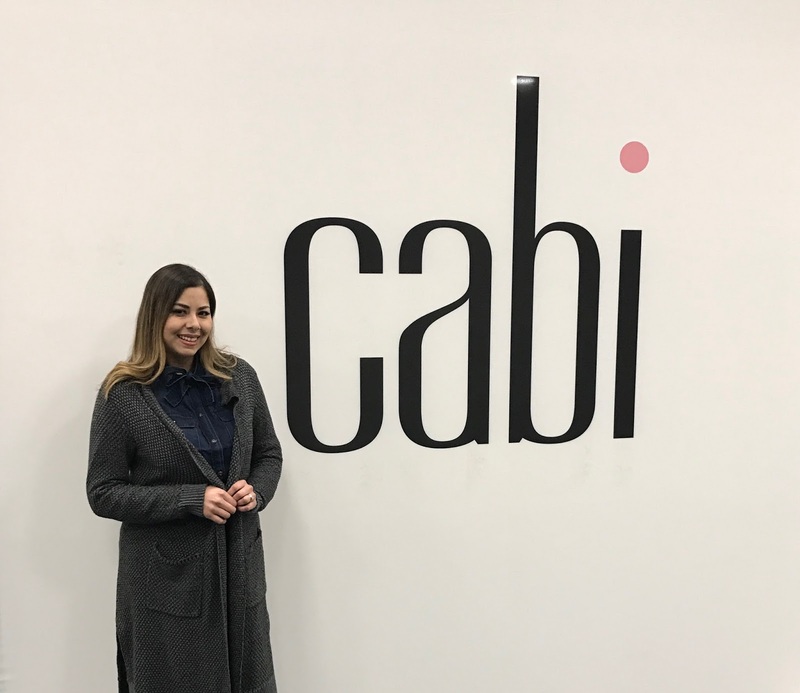 The clothes have proven to be so on-trend season after season thanks to the cabi Design Team, and they are of great quality. I still have pieces in my closet from 2-3 years ago that I still wear! Make sure you check out the latest collection here & feel free to let me know which ones are your favorite pieces in the comment section below! Stay tuned as I talk about my favorite pieces from the cabi Spring collection and show you outfit ideas! Your outfit is perfection - I am officially obsessed with that Cabi waterfront shirt! !